Mindfulness is a rich opportunity to be present to life, God, and ourselves. It’s a way of moving through our daily journey that we’re all invited to experience. Listen to the audio meditation clips below to dive in. Where Have You Seen Love This Week? Don’t Know Where to Start? explore below. Julie Stevens has worked in worship and music ministry at Gloria Dei for 25 years. She has always been passionate about this place and about helping others explore and deepen their spirituality. 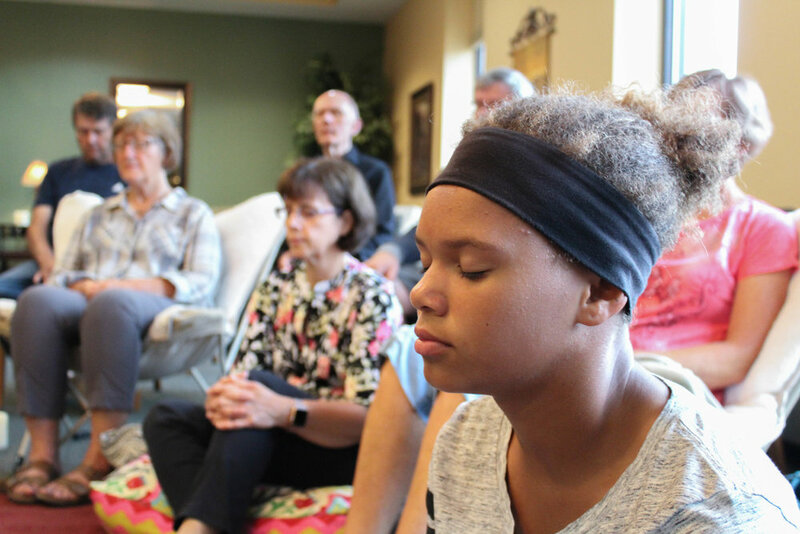 In 2015, Julie assumed the title of the Director of Contemplative Practices after completing a program entitled, “Transforming Community: Leading Contemplative Prayer Groups and Retreats” at Shalem Institute in Washington D.C.